Here's why (and how) you should send your real estate leads video messages. In addition to answering your leads in under 5 minutes, you can make yourself standout as the agent to work with by sending a personalized video message. Something fast and simple like "Hey name, you mentioned you are looking for homes in x and I would be happy to help you with that! Anyway, give me a call whenever your free so we can chat a bit more about what you are looking for. I have a few listings in mind and I'll email them to you as soon as I am done with this video. Look forward to speaking soon." I recently attended the Xplode conference in Dayton, Ohio and one takeaway was to actually start the video by holding up a piece of paper with the leads name on it. That becomes the video still that your leads will see the moment they look at their phone. If that doesn't catch their attention, I'm not sure what would! Most leads are not just contacting you, that is, until you make an unbreakable connection. 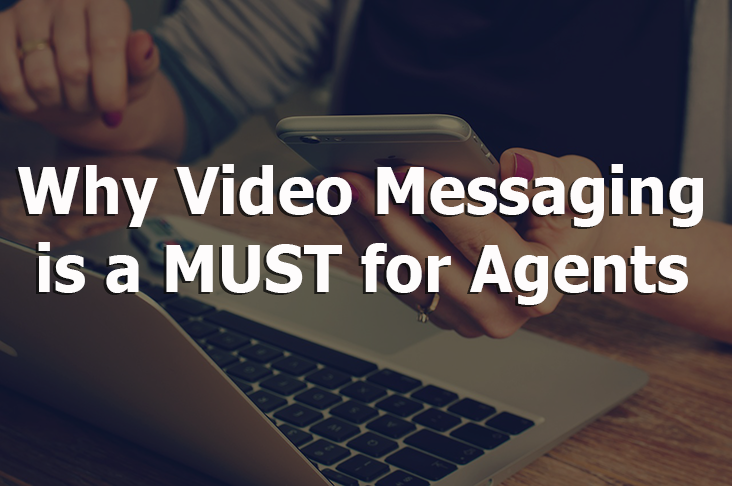 Stop them from contacting other agents with video messaging. Now they have a face to connect to the name. This instantly builds rapport and when you follow up with an email right after, your leads will realize you are on the ball and really care about helping them. A video camera is something that you carry with you everyday thanks to modern technology. Gone are the days of carrying around a clunky and awkward large recorder! The best part about video messaging is that you can do it right from your phone. Fortunately, you don't need to be a professional videographer to capture your message. With a smart phone you are all set. Consider your background while you are talking. If you are in the car, not a problem, just pull over and talk from the driver's seat. The most important part of making this campaign successful is getting back to the lead quickly! If you have an iPhone, you already can send video messages. You simply open the photos app on your phone, select the video you would like to send, tap the share icon on the bottom left corner of the screen and select how you would like to send it. You can send your video as a text message or as an email. Open the messaging app and open (or start) a conversation. Then tap attach and select the video you would like to send. It's as simple as that! If you are looking to place video in your emails, BombBomb is one of the most popular apps in the real estate world. Check out BombBomb. Now that you have the information to get your message heard, let's start turning your Facebook likes into actual leads! Give us a call today to talk about your current marketing efforts, your goals for the year, and how to create a road map to get you there!